Whooping Cough Bacteria May Be Changing Their Ways In Australia : Shots - Health News Whooping cough has reappeared in the U.S. and other developed countries in recent years, despite widespread use of vaccines. Researchers in Australia offer a partial explanation: they say the vaccine isn't tailored to fight some of the most common strains of the bacteria. Whooping cough has made a comeback lately, with big outbreaks in California and elsewhere. One factor is spotty vaccination. Now researchers in Australia think they've filled in another piece of the puzzle there. They say the vaccine is better at targeting some strains of the bacterium responsible for whooping cough, Bordetella pertussis, and that's allowing other strains to flourish. Now this this doesn't mean the vaccine is no longer effective, says microbiologist Ruiting Lan of the University of New South Wales, who oversaw the research. "It is still quite important to stop the transmission" by getting vaccinated, he tells Shots. But in a study published this month in Infectious Disease, he says it looks like the whooping cough bacteria are changing. Lan and his colleagues performed genetic tests of bacterial cultures, grown from samples taken to diagnose patients in clinics across Australia. His team was looking for bacteria with variants of two genes which Lan says make them "mismatched" to the vaccine. 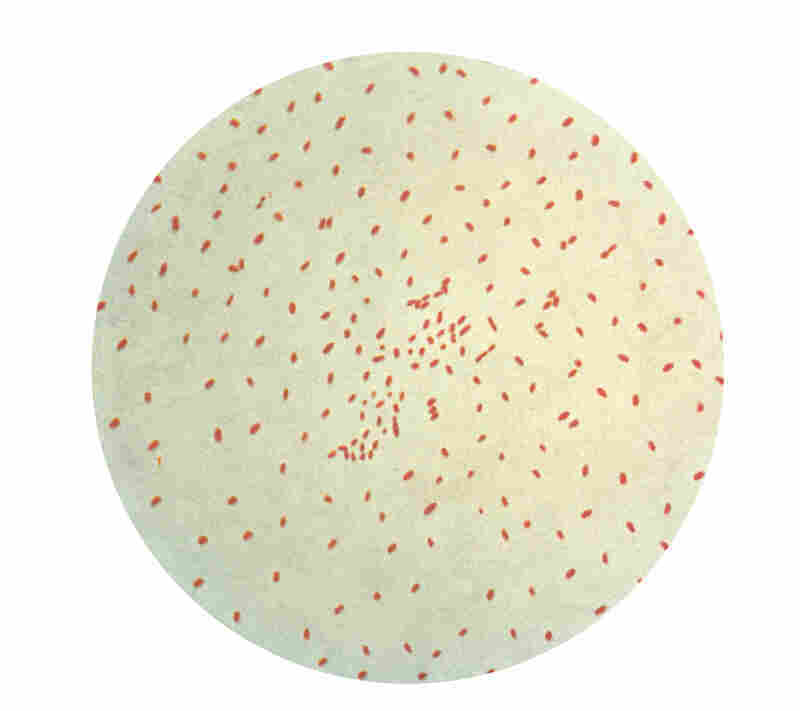 Until 1997, the whooping cough vaccine included whole cells of pertussis bacteria. That provided robust immunity, but the side effects could be nasty. Now the vaccine uses only a few select parts of the cell, from which your body learns to detect and fight off infection. But previous research has shown that in certain strains of whooping cough, those parts of the cell have genetic differences that the vaccine doesn't target. And since the new vaccine was introduced, those variants have become more common. Australia is in the midst of a whooping cough epidemic, with 38,000 cases last year in a country of just 22 million people. Lan says before 2008, when the epidemic started, the variant strains appeared in 31 percent of the bacteria in diagnostic cultures. In samples from the current epidemic, that number jumped to 84 percent. Lan says this is evidence of the bacteria responding to the vaccine, learning to evade it. But Tom Clark, an epidemiologist at the Centers for Disease Control and Prevention, says that's not necessarily true. Clark points to several factors that could explain the change. Culture samples aren't used to diagnose whooping cough very often, he says, because newer techniques are faster. That means Lan's samples might not represent the whole spectrum of bacterial strains that are circulating. And Clark says the genetic variants Lan studied are nothing new. "We've seen them in the U.S. for a long time," he says. But when the CDC has studied the effectiveness of the whooping cough vaccine, as it did in the 1990s and again in 2010, they've found that it's quite high. Immunity is "98 percent or 100 percent within a year" of vaccination, Clark says. But immunity does drop off over time. Both Clark and Lan say waning immunity is a problem in the adult population, many of whom were vaccinated decades ago. Whooping cough isn't a big deal for adults, but can be deadly to infants. Adults, including seniors, can get booster shots to reduce the risk that they'll pass the bacteria to children.